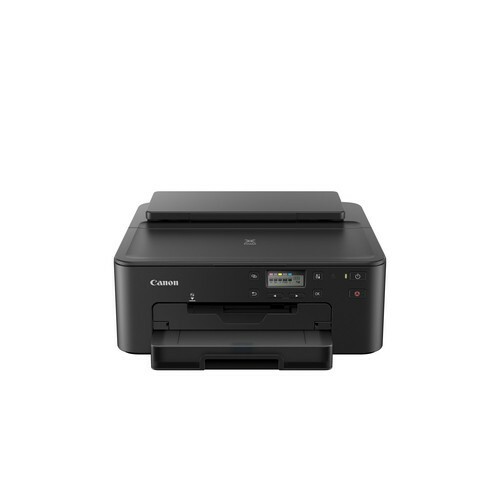 PIXMA TS707 high quality photo printer. 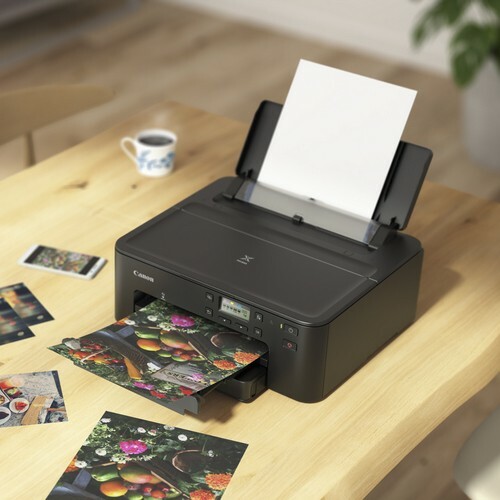 It features a newly designed space-saving compact body to blend into any modern home decoration stylishly. 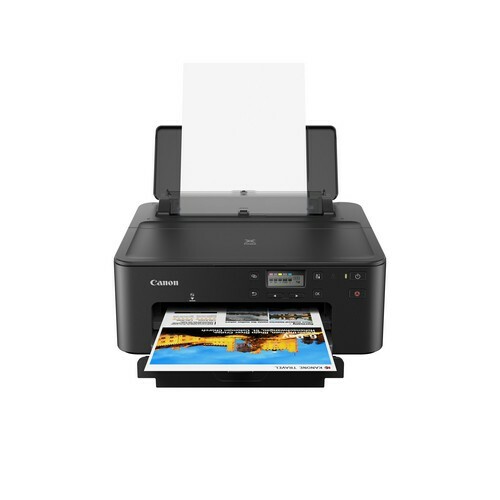 The use of a 2-line LCD makes control easier and more intuitive. 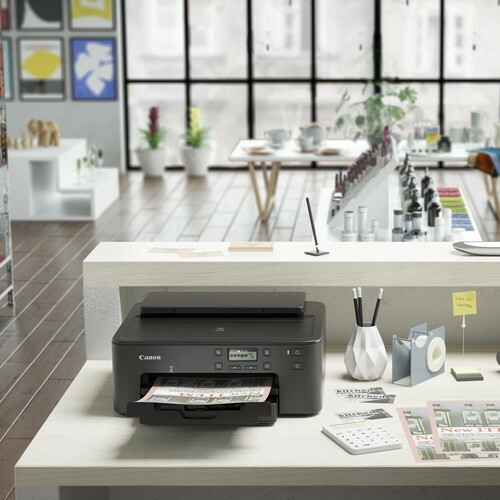 The new printer incorporates all-round mobile printing technologies which is more enjoyable and convenient! 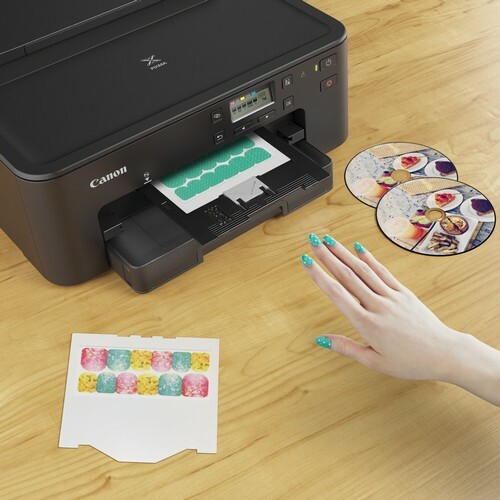 All data is based on Canon's standard testing methods. Specification are subject to change without notice. 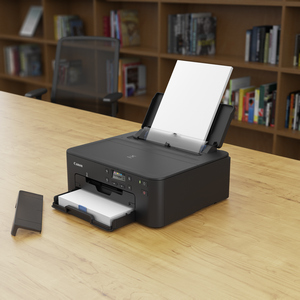 Compact size and small footprint allows the printer to be placed on crowded work desks, or behind counters. 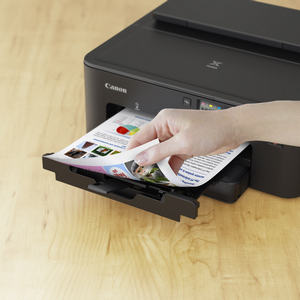 Connect wirelessly to smartphones and print, even without a wireless router. 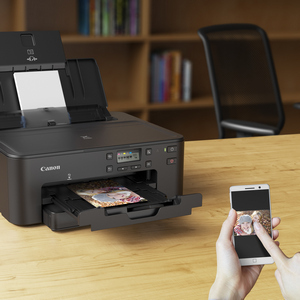 With the Canon PRINT Inkjet/SELPHY mobile app for iOS and Android OS, you can print documents stored in local device memory, or cloud storage. 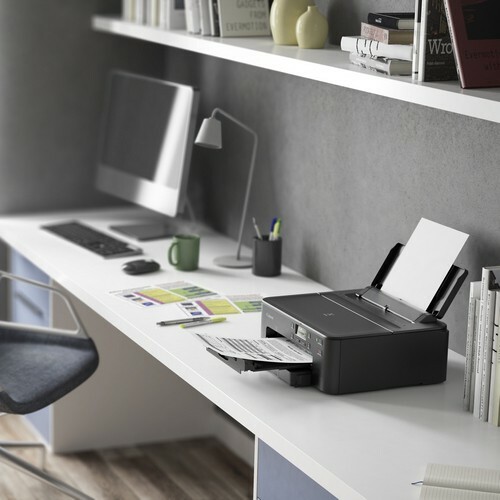 Enjoy heightened productivity and ease of use by printing on boith sides of papers automatically. 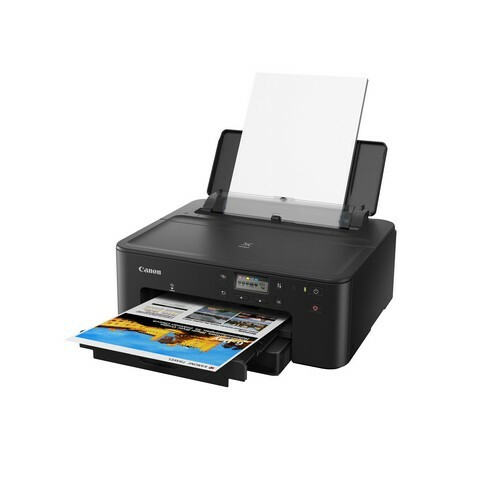 Supports up to 350 sheets of paper for high volume printing with a high capacity 250-sheet front cassette, combined with a 100-sheet rear tray.